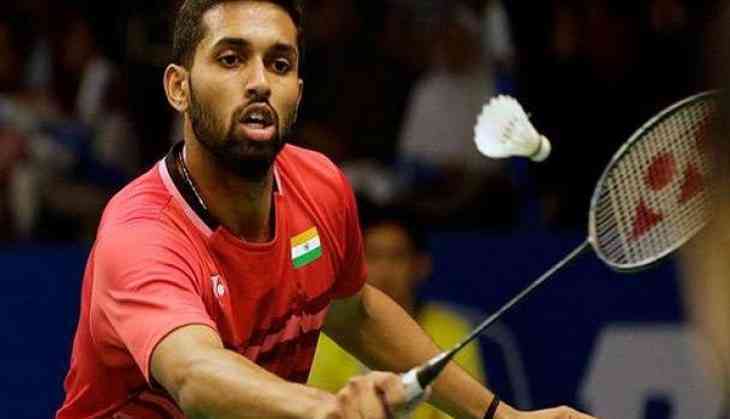 Ace Indian shuttler HS Prannoy kicked off his campaign at the ongoing Badminton World Championship with a thumping straight games win over Abhinav Manota of New Zealand in the opening round here at Nanjing Olympic Sports Centre on Monday. The 25-year-old outclassed his New Zealand opponent Manota 21-12, 21-11 in a one-sided first-round clash that lasted 28 minutes. Prannoy, who missed last year's World Championship owing to an injury, completely dominated the match right from the onset and gave no chances of revival to Manota in a two-game match. Taking the opening serve, Prannoy took the initial lead and by the mid-game interval, he was leading the first game 11-4. A series of unforced errors by Manota gave the Indian shuttler the opportunity to settle in and soon he was way out of reach of the New Zealand player after gaining a good lead of nine points. Back-to-back smashes from the eleventh-seeded Indian and Manota's failure to pose any challenge helped Prannoy win the first game 21-12 in 14 minutes. Prannoy took the opening serve in the second game as well and stunned his opponent by earning four back to back points. Capitalizing on the opening game, Prannoy took the initial lead of five points and soon the scoreline read 16-8 in favour of the Indian shuttler. Manota hit back with a strong rally but the effort was not enough to get past Prannoy who was on a roll. Eventually, Prannoy registered a convincing 21-11 win in the second game to head into the second round of the championship. Meanwhile, ace Indian shuttler Saina Nehwal will play her opening match of the tournament on July 31.